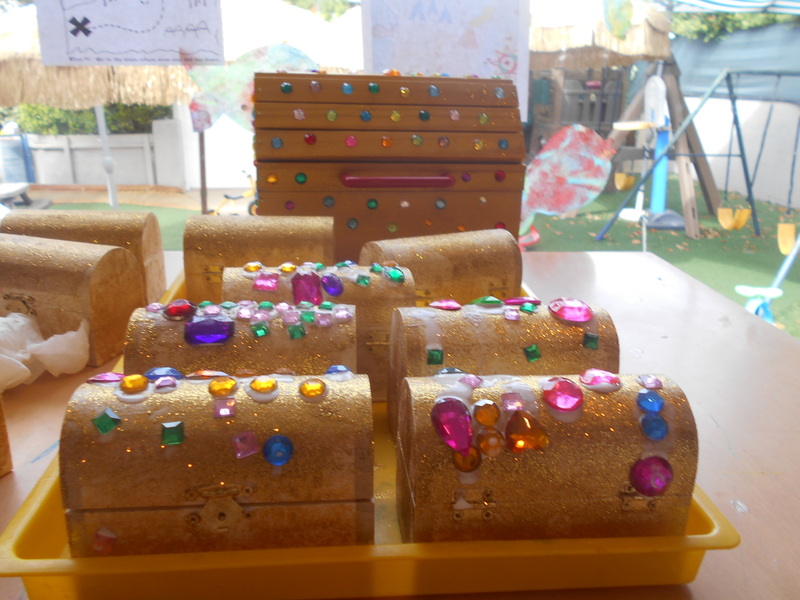 How can we make a Pirates theme without a treasure box. 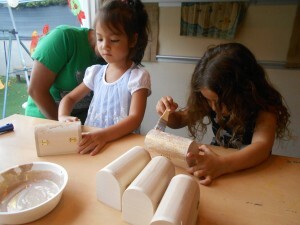 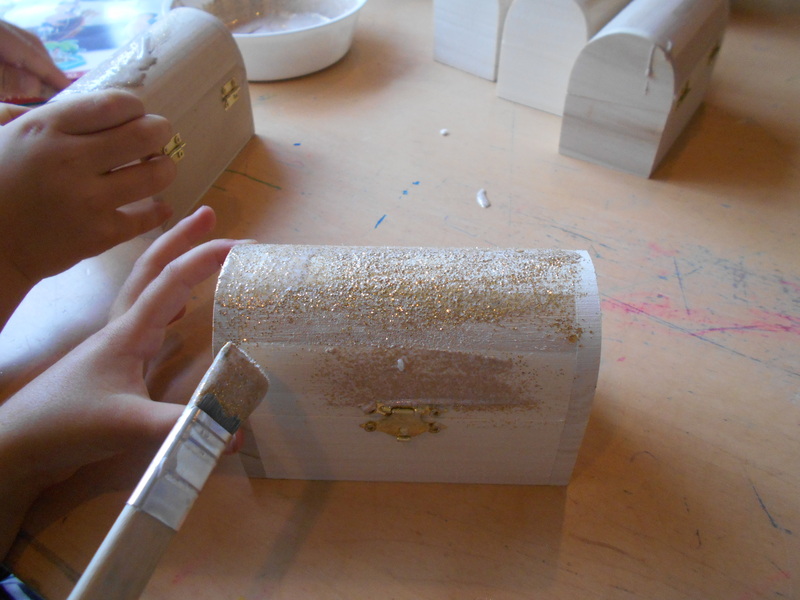 The children painted their treasure box with gold glitter. 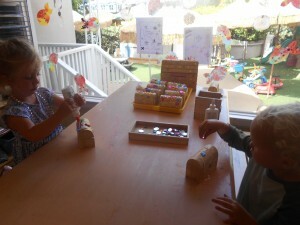 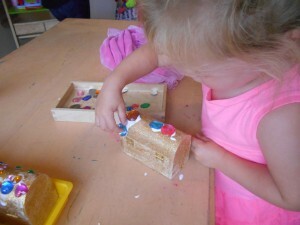 After their Treasure box was dry they added rhinestones. Now the fun begins, its time to add their treasure inside the box!